1) What’s caving all about then? Most people have heard of caving, but few know what the sport actually involves. By definition it is the non-competitive exploration of underground passages, but this really is just the start. Every cave is different: crawling, walking, climbing, abseiling, wading through water and sometimes swimming are all part of the exploring underground. Caves can contain tight crawls and huge cathedral sized chambers. Think of it as inverted mountaineering, only darker. On many caving trips you may get muddy and a bit wet. This can range from being completely plastered in huge quantities of thick mud, passing through a completely submerged section of passage or emerging with just a light amount of dust about your person. The time underground varies depending on the cave and route taken. Some trips will be less than an hour, but we have been known to occasionally camp for several days in a cave. The normal length of a trip though is between 3 and 6 hours (which flies by). As people gain experience the types of cave visited and trips will change. At the start of term we run several trips especially for people that have not previously caved. 2) Why should I go caving? Because it’s fun. Really. Look at it this way – this may be your only chance to do it. It’s a good chance to get to know lots of new people, see parts of the country that you’ve never seen before and impress your other friends when they ask what you’ve been doing over the weekend. You’ll also visits some really nice places, see some amazing things underground and do things with your body that you didn’t think were possible. 3) What range of experience does the club have? All sorts. The club is a right old mixture of people, from Fresher’s right through postgrads and through to people who never really got round to leaving. As a result there is a wide range of abilities, and experience is filtered down from older members all the time. 4) What if I don’t like it? We know that the first time is always difficult -you’re feeling nervous, insecure and you don’t know where to put your bits. We’ve all been there, so there’s no pressure. But we hope you take to it like a moth to a light bulb. If you don’t like it at least you know and you have the satisfaction of at least having tried. There will also be no pressure from those in the club should you find out that caving really isn’t your bag after all. 5) What sort of gear do I need? Each person in the caving party needs protective clothing, durable and reliable lighting, food and a survival bag. For the first few trips pretty much everything is provided (or lent) and proper caving helmets are supplied by the club, along with caving lights and spare batteries. Protective clothing such as a wet suit (for especially wet caves), or an oversuit are usually worn. Under the oversuit people wear fleece or fibre pile suits or old warm clothes. On the first fresher’s trips new members normally bring 2 sets of old clothes and borrow spare kit from other club members. If you find you really like caving, you can buy your own gear on a trip as we often visit a caving shop. Wellington boots are excellent for caving, alternatively an old pair of leather walking boots are fine but will be somewhat the worse for wear afterwards. Wet suit socks are ideal as these keep your feet warm whether wet or dry. Everybody should also bring at least one Mars bar or similar, preferably two (or the club can provide these if necessary). A light weight survival blanket is also recommended as a precautionary measure, and the club can provide these. For more details on the kind of kit involved see our gear page. Yes. Like any active sport there are no guarantees, but safety is of paramount importance. Groups taken underground are all kitted out properly and groups are kept small in number. To guide, instruct and help people, each group has several experienced leaders. All our gear is checked regularly, our leaders will know what to expect and we won’t let anyone do anything if we don’t think they are up to it. You will also be trained fully above ground before undertaking any rope work. You can read more about this in the caving club’s constitution and safety policy and we are proud to say that we have won safety awards from the University’s Sports Federation on two occasions. 7) Where does the club cave? We spend our weekends in one of the four major caving regions in Britain (Mendips, Derbyshire, South Wales and the Yorkshire Dales). The fresher’s trips usually go to South Wales or Mendips at the start of the first term. The Mendips (south of Bristol) is the closest caving area to Reading and hence day trips and weekends are often organised to here; and when we visit South Wales we stay at a cottage in the Brecon Beacons National Park, which provides easy access to the nearby caves. 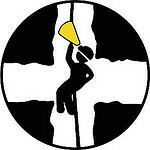 The Yorkshire Dales are the most popular caving area with many members because it contains many deep cave systems and potholes with vertical pitches (and for that whole Yorkshire experience). We normally visit these in the second and third terms, as prior cave experience is required before learning the special techniques needed to safely descend and ascend vertical pitches which can be up to 300ft deep. 8 ) What’s the difference between caving and potholing? 9) How often are the trips? How much do they cost? 10) OK, I think I could do this. How do I join? Visit the Join Our Club page, or e-mail our president and they’ll explain what’s what. Better still we are usually in a local pub from around 8pm on Mondays (see our Facebook group or event calendar for details of our next meet-up). You’ll also need Sports Federation insurance (required to become a member of any university sports club, costing around £15 per year) and a reasonably small amount of cash (currently £10 for students, £12 for non-students) to join. Is there an age limit to your club? Hi Robin – that’s a great question! There is no formal age limit for joining our club. We welcome both students and non-students – and indeed many of our student members have so much fun that they then decide to stay on as members for many years after they graduate!